The sweetest little pup ever! We’ve always had predators on our ranches. For as long as I can remember, suffering loss of life to our cattle and pets because of bears, coyotes and mountain lions has been something we always tried to mitigate. We used calls, traps, and hunts, all legal lethal methods allowed to us. It more or less works, some years are worse than others. Because of this, I have become increasingly paranoid about the safety of my piglets. A year ago I moved my pens father away from the house and noticed a sharp increase in the coyote signs I saw around the pens. It hasn’t helped that my Dad has pretty much constantly assured me that it is just a matter of time before my pigs do suffer an attack. I’m still so small that one bad night could totally end my pig raising career. I don’t want that. Getting socialized to her new sister. It’s important to me that she doesn’t mind my cowdogs. The proverbial final straw, when I really knew my Dad was right, it WAS a matter of time before something really bad happened, was two weeks ago when I was hunting in our back canyon and saw massive and plentiful bear poo. I’ve decided to be as proactive as I can regarding this situation. I got a guardian dog, well, puppy. I’ve been aware of guardian dogs for years. I have several friends that have them, and I’ve read extensively about them, I’ve even been lucky enough to meet a few. 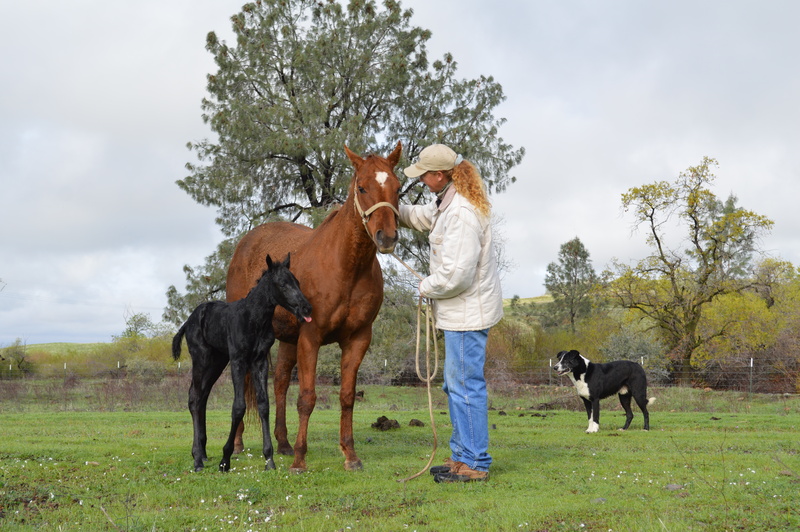 They seemed to work really well for many ranchers. I felt like it was finally time to try one. 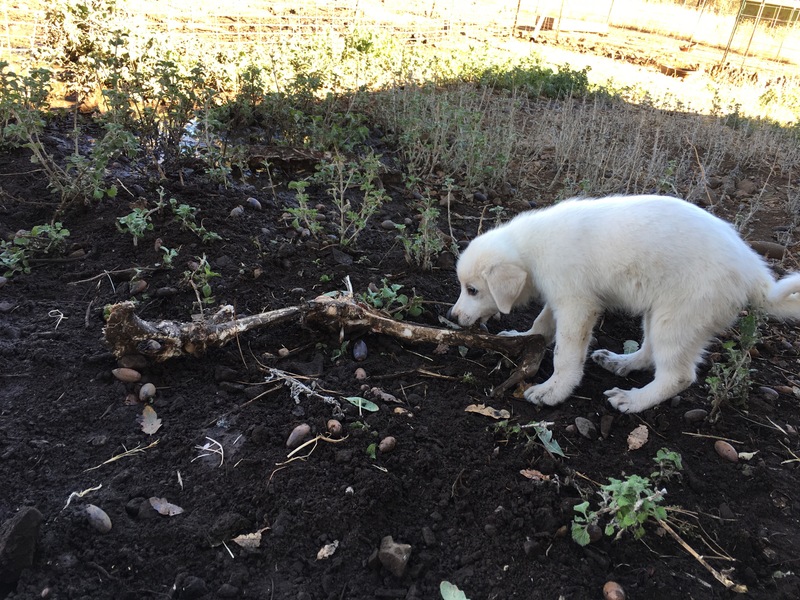 It seemed like fate, when last week, the opportunity to get a Pyrenees/Akbash female pup fell into my lap. 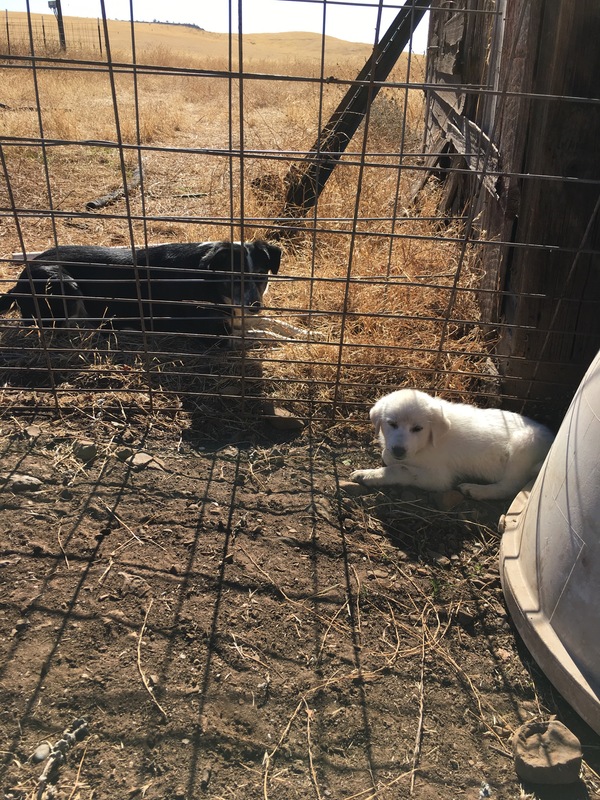 A little about these dogs, the Great Pyrenees and Akbash dogs have been used for hundreds of years for guardian dogs. They are both a calm, aware, intelligent and gentle, yet fearless and dedicated to their jobs. They are a large dog, the females can hit 90 pounds or more. 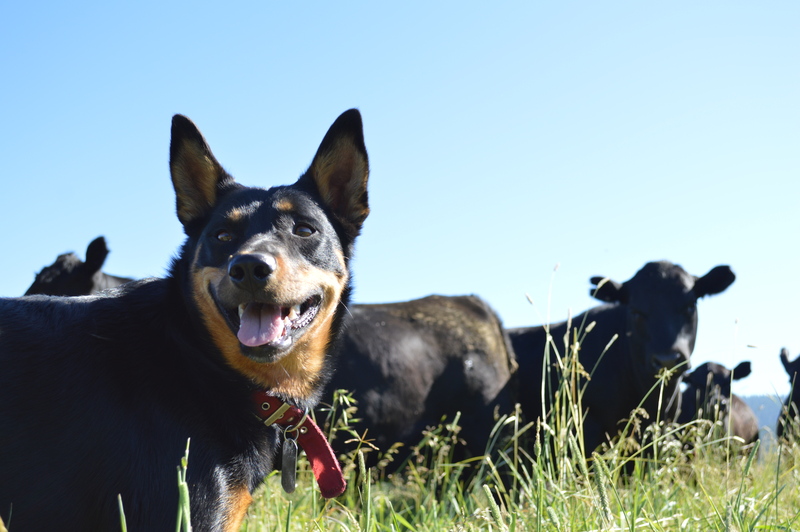 They are happiest when given a job – so these breeds are just what I was looking for. This pup seems to be fitting all of her breed characteristics, she is shy, sweet, aware and quiet. I like her. I picked her up yesterday and spent today getting her settled into her new home. These dogs must bond with the animals they are guarding and not people. 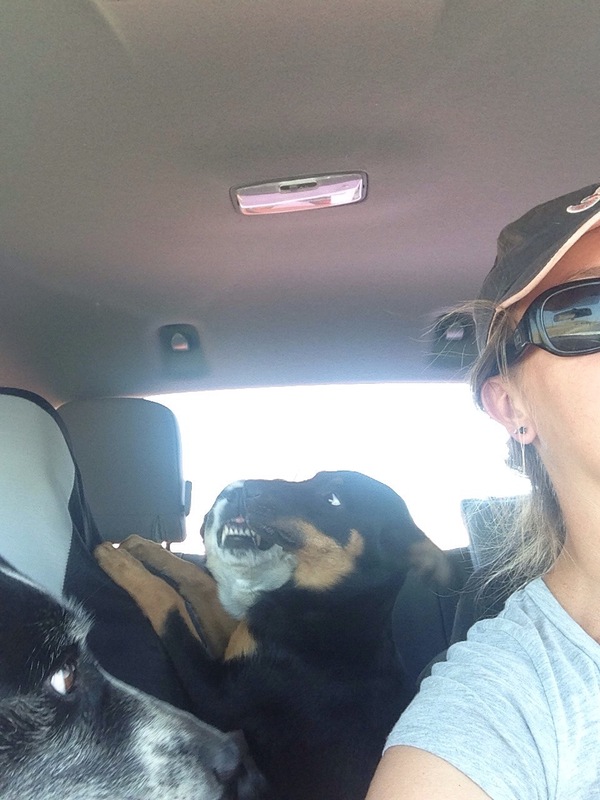 That being said, it’s been incredibly hard for me not to treat her like I would a cowdog, you know; cuddling, loving, carrying her around and singing her dog songs. I’ve respected the fact that she is not a pet and left her alone for the most part. 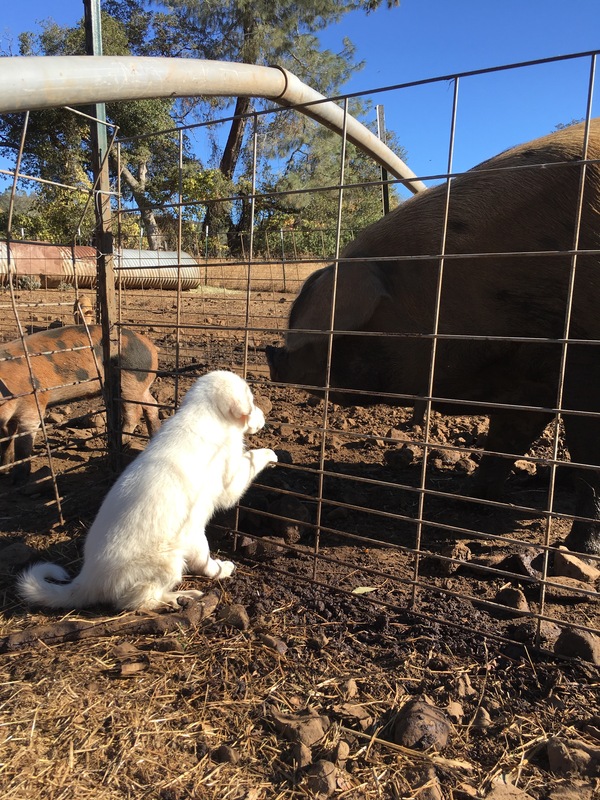 She already is showing interest in her pigs. It was exciting to see! She has a lovely, safe home next to her pigs. In a few days, when she is totally settled in, I’ll put a couple piglets in her pen, so we can really start the bonding process. In the meantime, I only give her a whisper of affection when she is getting fed, and we are starting basic commands like ehhhh (that means no) and good girl. She got a deer bone to play with and LOVED it. Who do you think she looks like? 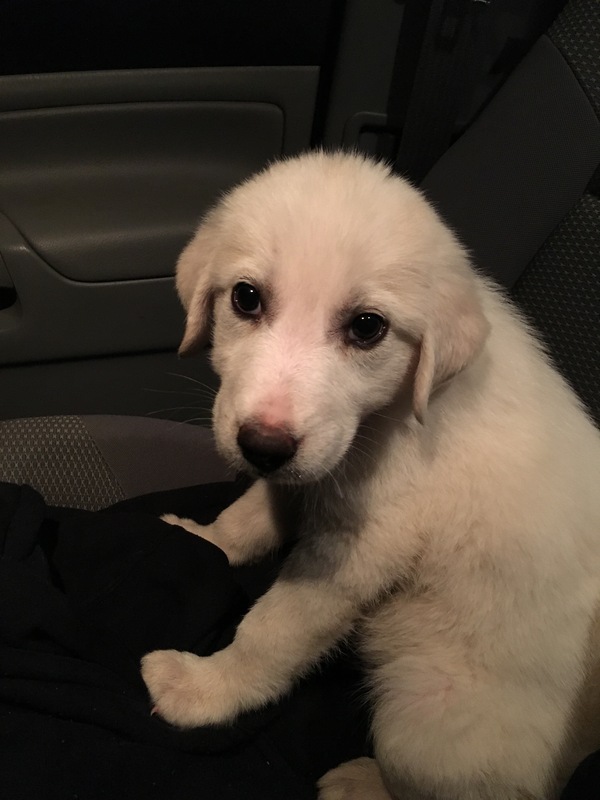 Leave me a comment and help me name this sweet girl! Sad day. There was some complications with Ranchie. Unfortunately despite an emergency surgery and our best effort the puppies did not make it. Ranchie is home resting and is being loved and spoiled. She got a bunch of treats from Chico Locker and Sausage, a new, pretty red collar and some new toys to help with her recovery. Thank you for all the kind words and positive thoughts. 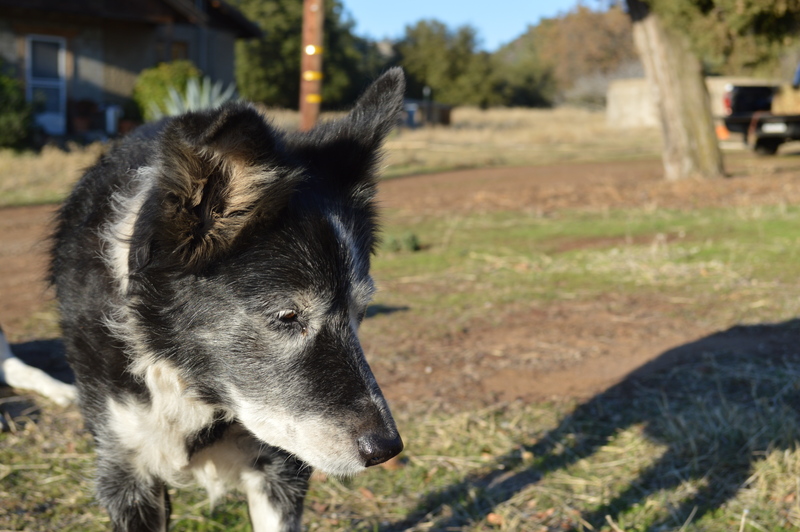 We love our Ranch Dog and we are glad to still have her with us.